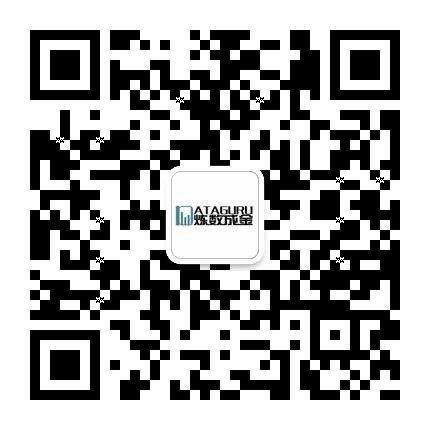 首页 > 数据分析 > 如何使用DSX 在RStudio中使用版本控制(GitHub) ? 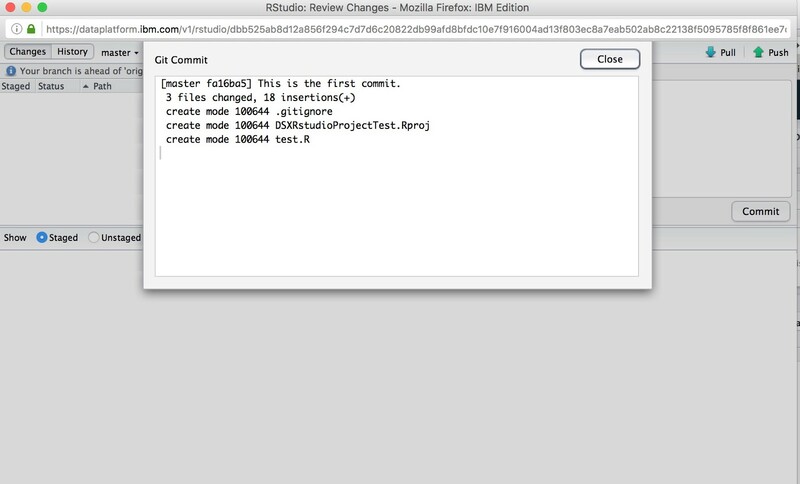 英文原文：How to use version control (GitHub) in RStudio within DSX? 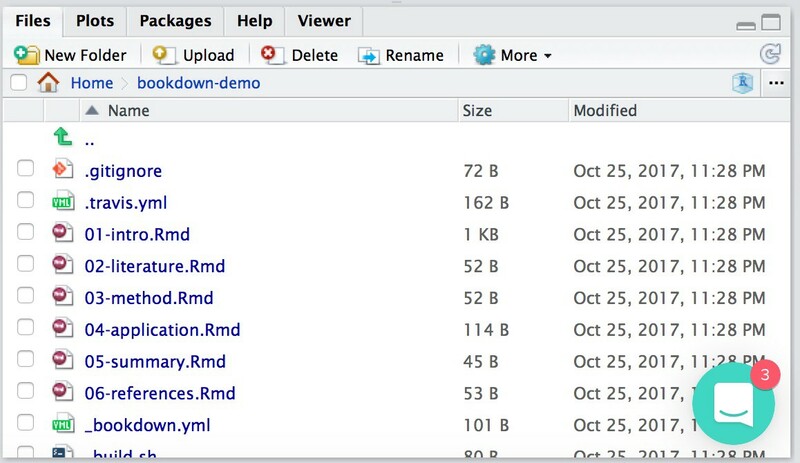 Problem: You want to collaborate with your colleagues or other contributors on a project and want to keep versions of your code you develop in RStudio for backup. 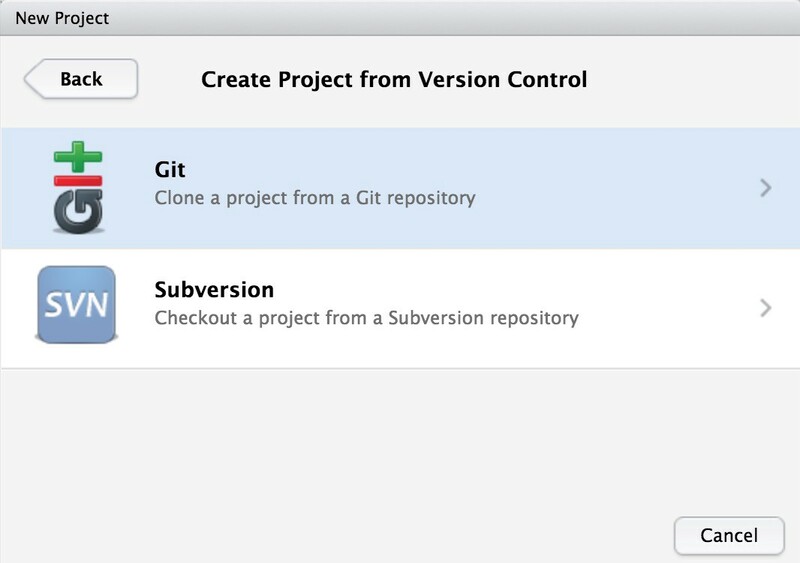 With RStudio in DSX, git comes pre-installed in your container and RStudio by default have git and subversion integration available. Now let’s say you already have project and you want to clone or check out that project, start by creating a new project. 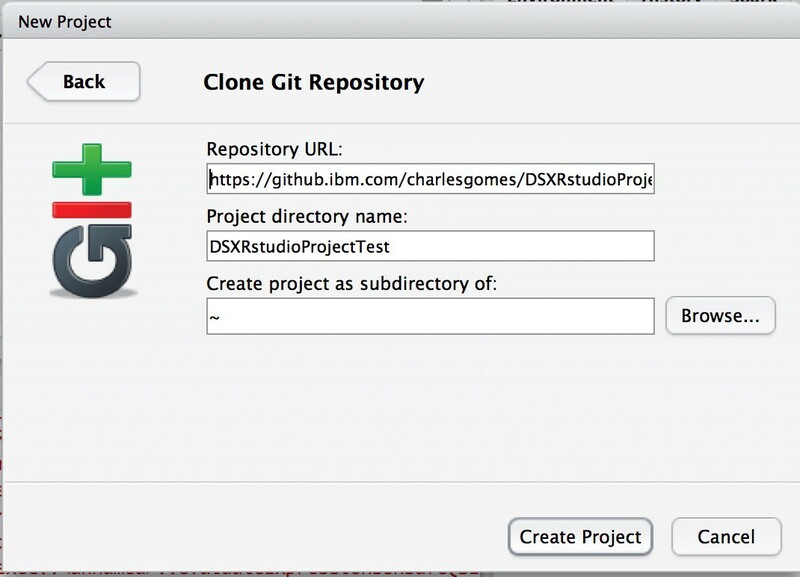 Then clone this forked project or the master project into DSX’s instance of RStudio so that you can start collaborating with your teammates or other contributors. Select Git since we are working with GitHub. 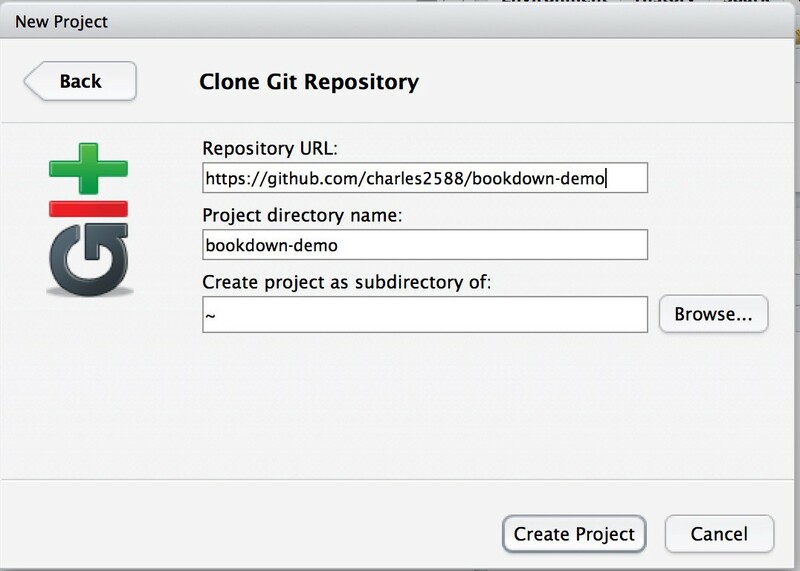 Go to GitHub and copy the clone repository URL from GitHub repository and enter it in the Clone Git Repository window. Select Create Project. For your private GitHub Repository or Enterprise GitHub it might ask for other authentications like Personal Token. In such cases, you might need to specify personal access token as password. and you want to commit this file. Run this in the RStudio Console, replacing my email with your GitHub email and my full name with your name. Once the above global options are set, you are ready to proceed. 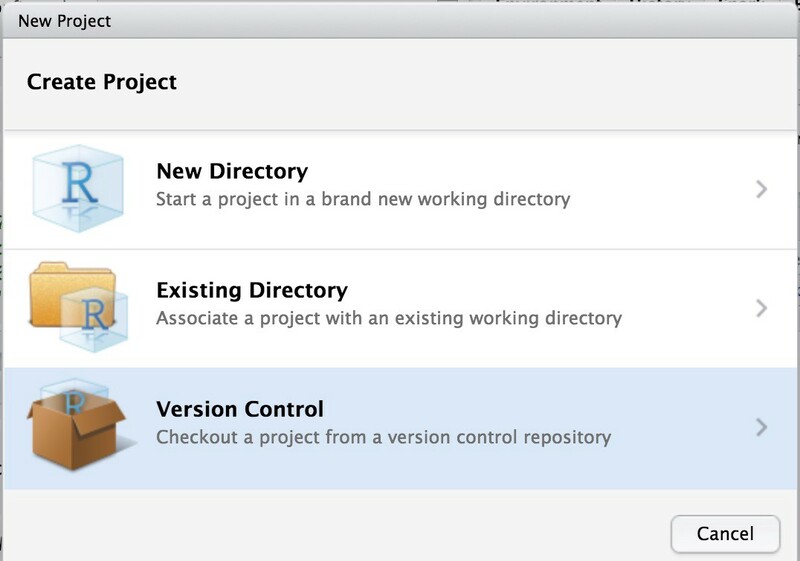 Then go to Tools -> Version Control and select Commit. Given that the below files are new files, it will ask to add them and will let you commit those files. Check the files. Enter your commit message and then click Commit. The above will commit to your RStudio local branch. 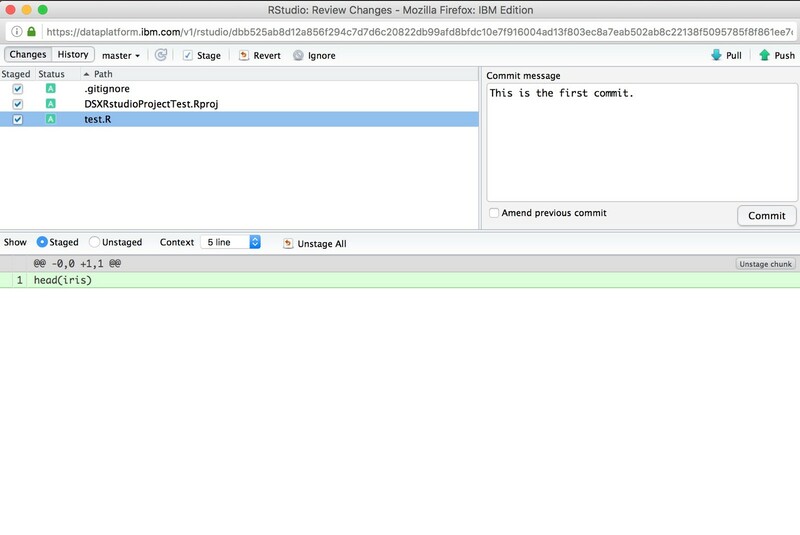 Now we are ready to push the branch out to GitHub or Git Repository. Congratulations you have setup your project with Git version control! 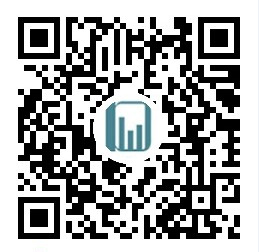 GMT+8, 2019-4-19 00:32 , Processed in 0.042649 second(s), 11 queries .